Dry, Wet or Raw Food For Cats? What's The Ideal Diet For Your Pet? Dry, Wet or Raw Cat Food? What’s The Ideal Diet For Your Feline Friend? Cat owners usually have the following question in mind: Should I feed my cat dry, wet or raw food? 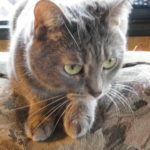 I will explain some concepts that I have learned throughout my investigation of cat foods and hopefully, at the end of this article, you will have a better idea where to start with your cat. Though the main question of what to feed a cat is straightforward and simple, the answer it’s not so much. In reality, there isn’t a “miracle-diet” that will work great for all cats, but THERE IS an ideal diet for each cat. 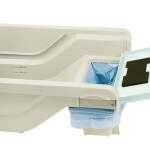 This means you will have to discover what’s the best for your particular cat. And don’t forget that it’s not only about finding the healthiest cat food, it’s also about getting your cat to eat the food. That’s another challenge in your research. Here I intend to give you parameters for you to have somewhere to start from. The cat’s health is a balance between nutrition, hydration, and activity. No food will be good if your pet doesn’t drink enough water. When cats don’t drink much water and they eat a high-quality dry food they have a risk of dehydration or urinary issues. Premium dry cat foods are high in protein and provide extra minerals so you need to make sure your cat drinks enough water to avoid future issues. On the other hand, cat foods containing grains provide less protein and more carbs, so the risk of dehydration is reduced. However, grains are not part of the cat’s natural diet and they cause peaks in blood sugar, causing diabetes and making your cat overweight. Water consumption is the key to a healthy diet, but cats usually don’t drink a lot of water. You need to entice them to drink more by providing fresh clean water at all times. If your pet is not a fan of still water, get a cat water fountain. The key to choosing a good cat food is considering the nutrients it’ll provide your cat. If we want to decide between dry, wet or raw food we should ask the following questions: What nutrients does my cat need? What’s a healthy percentage of each nutrient? What’s the best source to provide those nutrients? This is basic. A cat diet needs to be chosen according to the health condition of the cat. Cats with a sensitive digestive system experience more vomiting, flatulence or diarrhea and they don’t digest well certain ingredients such as beef, seafood or whole eggs. In this article, we didn’t consider special diets for cats with food sensitivities or other issues. Some breeds have a shorter jaw and they need a softer kibble while other cats can chew very hard dry food and big kibble. Some cats don’t like tiny round kibble and they won’t eat the food. The same goes for wet food, some cats won’t touch shredded or pate type food and will only eat morsels. The cat’s chewing preference could be a questionable factor, but the reality is that when cats don’t like the texture, shape or size of their food they simply won’t eat it. #5 HOW YOU FEED YOUR CAT. Raw food most likely won’t be a good option if you free-feed your cat and you are not home to prepare the meal for your pet. Dry food it’s a better option if you want a 2-meal or 3-meal schedule for your pet and you are not home all day. This might not be a crucial factor to choose the best type of food for your cat, but we need to be realistic how we can really accomplish the best diet. Once we take these factors into consideration we can move forward to learn the advantages of dry, wet and raw food. 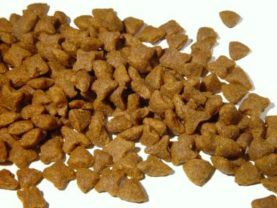 Hard to find a healthy food with the ideal kibble size/texture that your cat loves. Dry food is a highly concentrated source of protein (Premium), keeping you from spending too much money on canned or raw food. If you want to feed your cat a proper amount of protein and keep it full for the day, it’ll be more expensive using solely canned or wet food. 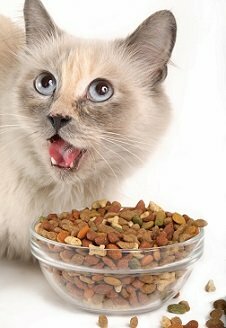 Dry food keeps the cat’s teeth healthy and if using a good quality food, it keeps your cat satisfied with a very small portion. 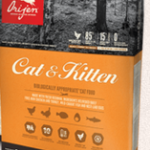 Premium dry cat foods contain “meal” that is basically meat cooked at high temperature and pulverized, which makes it lose some of the nutritional properties, however, these Premium formulas add natural supplements of vitamins and minerals. Finally, feeding a cat dry food doesn’t require your presence to prepare the meal. 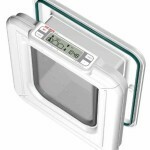 All you need to do is placing the food into a bowl or use an electronic auto cat feeder that does the job for you. A large percentage of the total formula is water, so you get less nutrition and protein for the money. Wet food is an excellent option to feed picky eaters due to its usually great taste that makes cats love to eat this type of food. 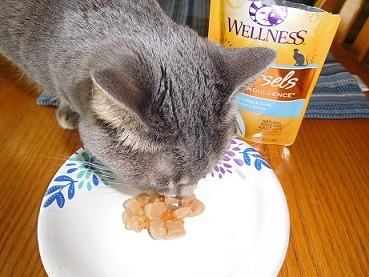 Also, wet/canned food provides an excellent source of water that will keep your cat hydrated which is crucial to keep the cat’s urinary system healthy. However, feeding the cat a wet food-only diet poses a big risk of periodontal disease and this is the worst situation you want to deal with. The cat’s teeth are the first organ of the cat’s digestive system and lack of teeth put your cat in a dangerous situation from where it will never recover. So why take the chance? Additionally, if you feed your cat only wet food you need to feed a fair amount of food daily to provide the proteins your pet needs. Also, very few formulas contain mainly meats in the first ingredients, they usually contain vegetables, potato, tapioca or similar, so the real percentage of protein in canned food is not high. My last thought is that when buying wet canned food you are getting a good proportion of water for the money. Yes, water. A large percentage of the total formula is water. Raw foods have the risk of containing pathogens such as bacteria, fungi, and even parasites. The moisture of raw foods allows germs to develop which could really harm your cat. Even though raw food comes frozen and it’s kept frozen, some bacteria can be in a standby mode and get reactivated once back in a warmer environment. Cats in the wild have a strong digestive system adapted to digest birds and mice. The stronger immune system of wild cats can handle bacteria and any other microorganism present in birds or mice. On the other hand, domestic indoor cats have been adapted to a different survival condition so their immune system is weaker and not prepared to handle these bacteria that could really harm domestic cats. I know there are lots of advocates of raw food but I think it’s wise to play safe when it comes to choosing what to feed your cat. Why take the chance of feeding your cat raw food that might contain pathogens? Let’s face it, any food that is subject to changes in the temperature poses a risk of bacteria-poisoning. 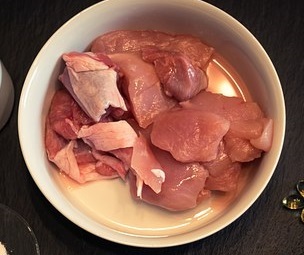 Freeze-dried food consists of cooked fresh foods with nearly all the moisture removed through a special process, this way this food is not subject to bacteria formation. You only need to add a little warm water to make this food get back to its original texture and moisture. Once the water is added this raw food only provides 70% of its original moisture, but it keeps the nutritional properties. Once the freeze-dried food gets in contact with water, it could be subject to develop germs so any left over needs to be put in the refrigerator. Freeze-dried food it’s a good approach in the sense of eliminating the risk of feeding your cat food that could possibly contain pathogens. However, the problem with freeze-dried food is that once the food gets wet by adding water in it, it still could pose a risk of germs formation, especially in summer. You would need to assume that your cat will eat the whole meal without leaving any leftover and this is hard to determine if you are working. You need to be present to feed your cat this food to put any leftover away. Also, freeze-dried food is much more expensive than canned food. Comparing side by side canned wet food vs freeze-dried food, why choosing the last one? Canned wet food provides nutrients and fat just as the freeze-dried food but instead of providing 70% of the natural meat moisture, canned food provides 100% of the natural moisture. In this case, I opt for wet canned food, plus is less expensive. What’s the best diet for a cat? Dry, canned or raw food? Considering all the factors I mentioned I am a firm advocate of a mixed diet of dry and wet food. When feeding your cat dry and wet/canned food you are taking the best of the two types in one solution. On one side, dry food will provide your cat a concentrated amount of protein and a package of vitamins and minerals added to the formula. Also, it will keep your cat’s teeth healthy. On the other side, canned food will give your cat the moisture cats need to keep their urinary system healthy and will make your cat enjoy a much tasty meal. Drinking water only is not enough to keep your cat hydrated. Remember that cats get moisture from preys so they don’t tend to drink too much water. This is why it’s so important to feed your cat wet food. Also, your cat will be happy to eat wet food because they love the taste of it! Both dry and canned food need to contain healthy ingredients to be a winner mix diet. Dry Food: Don’t feed your cat a dry food containing grains or too many carbs. The 5 main ingredients need to be protein based, avoiding too much fish in the formula. If the recipe contains fish, it needs to be further down the list. The dry food needs to have a low amount of Phosphorous, ash, and calcium, so pay attention to whole eggs and too many red meats. Ideal dry foods are based in Turkey, Chicken, Duck. Wet canned food: It needs to contain protein in the first ingredients and leave the potatoes and vegetables further down the list. Try to choose formulas containing vegetables that help with the cat’s digestive system such as carrots, peas, pumpkin/squash. Avoid canned formulas containing carrageenan and fish. This is one the most important aspects of a mixed diet. You need to find the perfect proportion of dry and canned/wet food for your particular cat. For example, if you have a male cat, try to get to a proportion of 40% dry food (good quality, grain-free) and 60% wet. Male cats have a more narrow urethra and they tend to develop urinary blockage so providing more canned food ensures more hydration, preventing this. If your male cat is super active or an outdoor/indoor pet, you need to feed it more dry food (always considering high-quality cat foods). Change the proportion to 60% dry food and 40% canned food. The recommended proportion for female cats is 60% dry food and 40% wet, assuming your female cat drinks a good amount of water daily (about 3 oz), otherwise, the proportion of dry food needs to be less. Remember that when you are feeding your cat a good quality dry food, the amount needed to keep your pet full is less. Feeding your cat more than the recommended intake will subject your cat to dehydration, especially if your pet is not a fan of drinking water. If you currently feed your cat 1 cup per day of food containing grains, when switching to a premium formula, the portion needs to be reduced to ½ cup a day. In my opinion, a dry/wet food mixed diet is the best approach to feed indoor cats. Of course, you need to provide your cat a clean and fresh source of water at all times and engage your cat in play activities every day. Are there any foods, brands specifically, that you recommend. I live in Southern California, and my cat is long and lean and weighs 12.8 lbs. Hi Catherine, you can check my cat food reviews where I mention some of the brands I recommend.